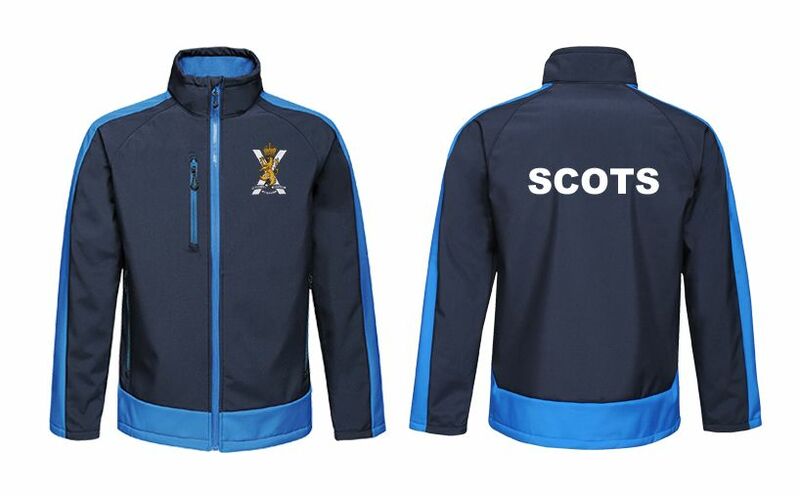 Royal Regiment of Scotland Softshell Jacket in regiments colours. 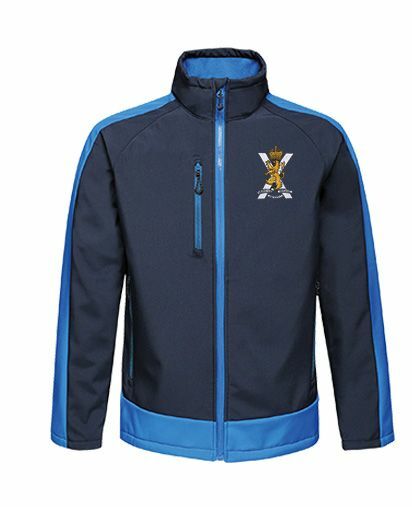 Royal Regiment of Scotland colours softshell jacket in the regiments navy & royal blue colours. Waterproof, wind resistant and breathable membrane. Collar high zip with chin guard and inner zip guard.